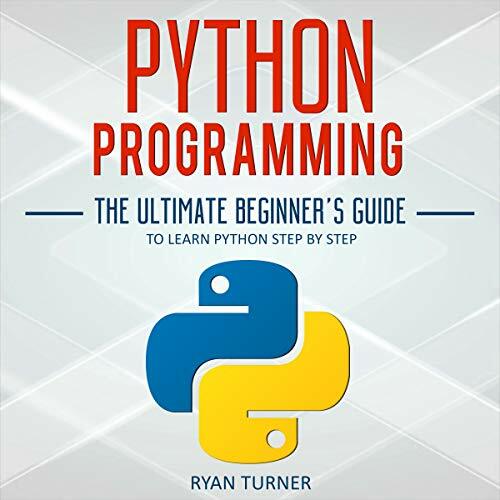 If you are looking to learn Python without getting frustrated, then this audiobook is for you. The problem is that you’ve read other guides and forums about Python, yet they are each more confusing than the next. You’ve downloaded information. You’ve watched video after video. Still you feel like you’re missing something. You try to write out code, but all you get is a blank page, much less anything useful. The great thing about Python is it is effortless for newbies to utilize and study when taught correctly. Don't talk yourself out of it. The best way to begin is to actually begin, without the fear of making mistakes or doing something wrong. The chances of you making an egregious error so bad that you want to lock yourself in the basement is highly unlikely. This audiobook will help ease your fears and even show you how to code your first Python program. The installation of Python, which is quite effortless, and these days, many Linux systems and UNIX distributions consist of a recent version of Python. Actually learn how to code Python. How to find out which individual development environment (IDE) you are currently running and how to use the text editors. How text editors are set up to make Python editing extremely simple. How to look through and find things in any number of introductory guides you may buy or study. How to look at code samples you actually find useful and helpful in real life. If you need to find out whether a specific application or a library with specific features is readily available in Python, generally, there is a multitude of potential resources of information. The Python website offers a Python package directory. There is additionally a search webpage for a range of resources of Python-related content. If for some reason you are unable to find the libraries or that particular information on the Python site, simply Google for a keyword including the phrase Python and you might very well get the outcome you require. When all else fails, inquire in the Python newsgroup and there is a great possibility somebody will put you on the right track. This audiobook is the best place to start before diving into any websites in order to get you set up for success. Happy coding!